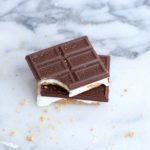 Although it’s made with just three ingredients this recipe has tons of variety. Switch up the flavored jam for any kind you’d like: strawberry, grape, & what we used, blueberry. Swap out smooth peanut butter for crunchy or almond butter if you’re looking to get a little healthy over here. 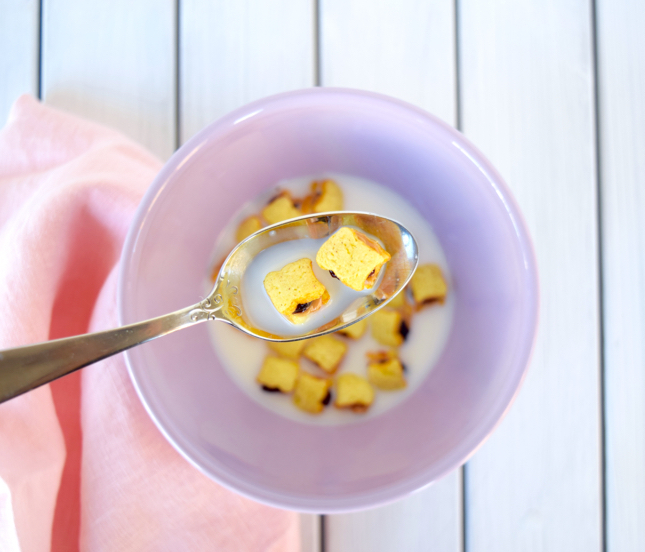 And last but not least, skip the French Toast cereal & opt for traditional bread toasted to a crisp as your basis for this recipe. However if you do use bread we have a few tips for ya. 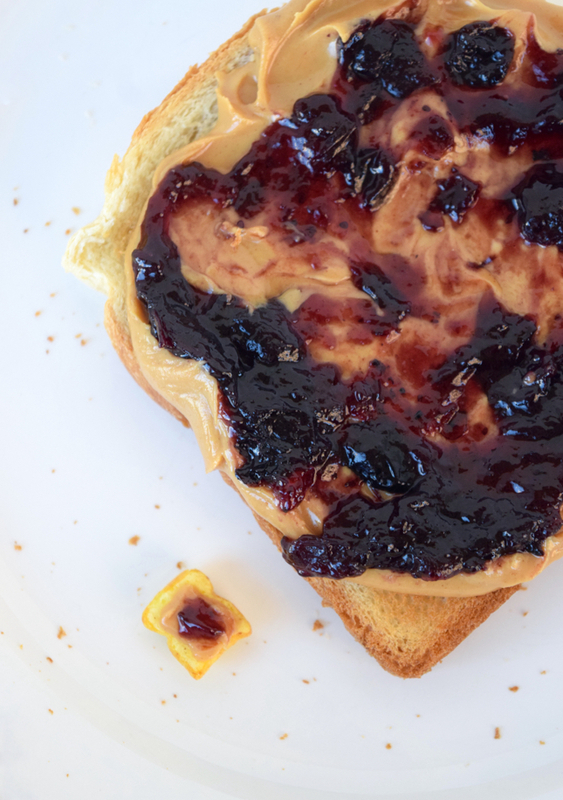 Instead of cutting them beforehand, toast your bread, cover it with PB&J as you would when making a regular sandwich & then cut it into tiny bite sized pieces. Another word from the wise, if you’re using regular toasted bread we recommend serving it as is instead of in a bowl of cereal to avoid a soggy bowl of food. If you’re making these for a party, the bread idea looks super cute served with toothpicks in them to indicate finger food or alongside other mini recipes (i.e. tea party). This is for sure one of our favorite recipes to create. While it can be a bit time consuming depending on how many you’re wanting to make, let us be the first to say: IT’S. SO. WORTH. IT. 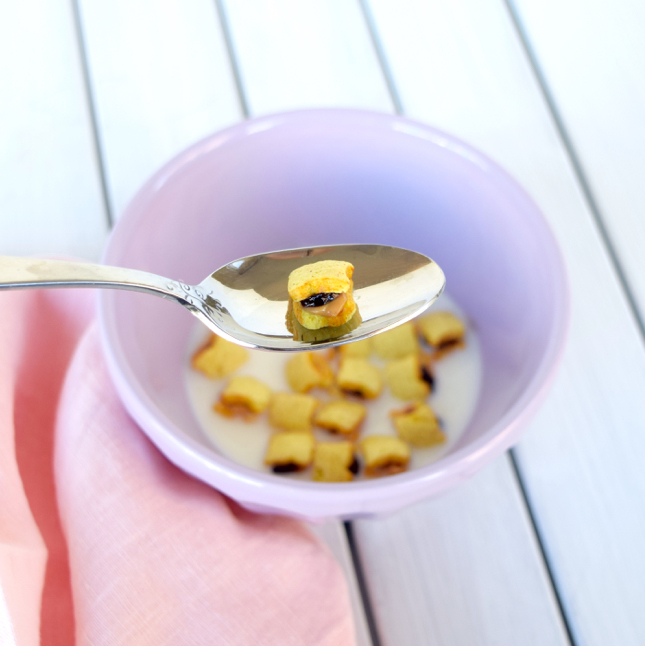 Spread peanut butter onto one side of one French Toast Crunch cereal. Spread jelly on top of that. 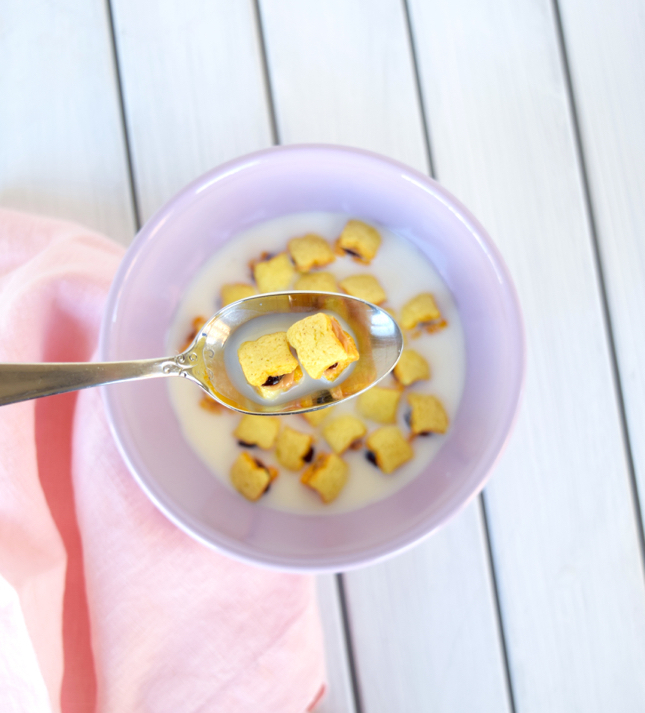 Place one plain French Toast Crunch cereal on top of jelly & press together gently. 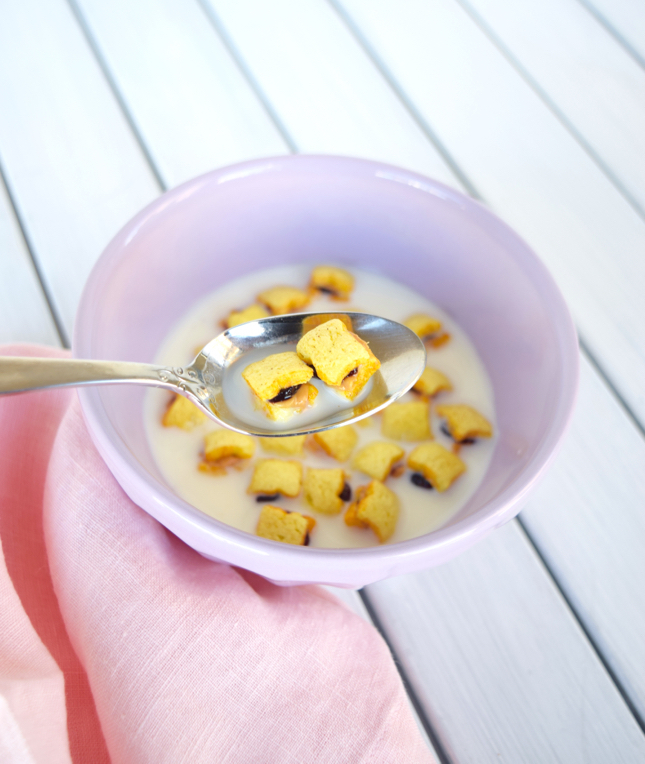 Serve on their own or in bowl of milk. Enjoy! 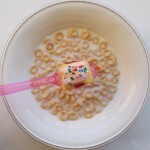 This looks like so much fun to make and so yummy !! 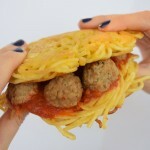 I need to try this asap!!! Looks so yummy & healthy!!! These are so cute and I bet they taste great! 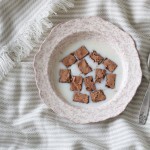 This cereal recipe is so clever! Plus, they’re so cute! 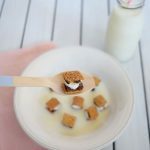 This is such a cute recipe and a total throwback to when I used to eat PB&J sandwiches for lunch all of the time when I was younger! Love this! This is so cute! I am a HUGE PB&J lover! that sounds like the tastiest cereal!